embodied the concept of creating small waves which build to something bigger. The colour scheme is an energetic but cool combination of greens and reflects the dual tones of optimism and professionalism the client's brand embodied. 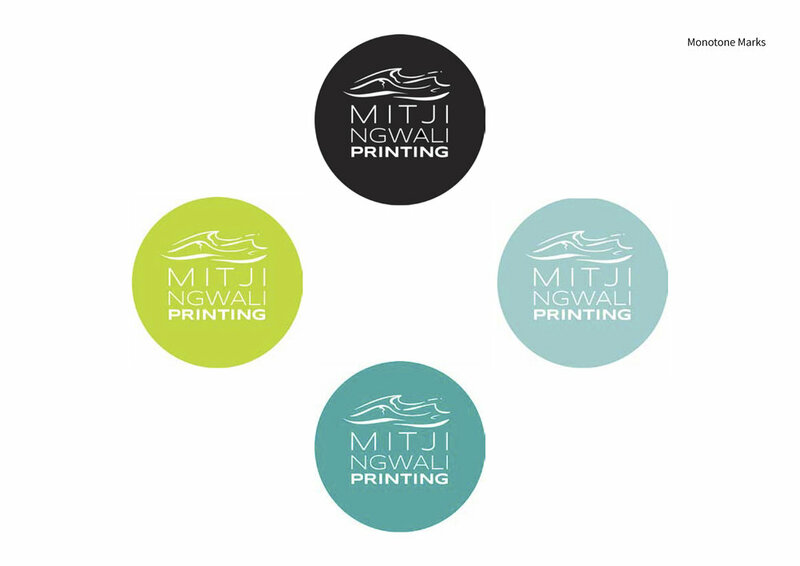 Mitji Ngwali Printing is a Social Enterprise, they deliver fabric printing for schools, clubs and sporting groups. Mitji Ngwali means little wave in the language of our local indigenous people of coastal Mid-Northern NSW, The Awabakal people.